Children learn best when actively involved in fun, imaginative and active hands-on learning experiences with family and friends. Kids Growing Strong helps you make those experiences happen. ONLINE LEARNING: Check out the special learning modules covering general gardening and growing California fruits, nuts and vegetables with children. Results from this study of middle school-aged students indicate that school gardening may affect children’s vegetable consumption, including improved recognition of, attitudes toward, preferences for, and willingness to taste vegetables. Gardening also increases the variety of vegetables eaten. Results showed that food and nutrition professionals should use this sort of “seed-to-table” education program to educate kids about healthy eating. With the economy as it is and current budget restraints that many find themselves under, this means we have a responsibility and an opportunity to grow gardens with our children. A small garden with only a vegetable or two is a huge investment in the health of our children. And…. we always love a fun project to get the sprouting minds excited! Educational content developed to help Garden Leaders obtain a solid background in knowledge that would be helpful to creating bountiful and educational vegetable gardens designed especially for children. Topics currently available also includes Growing California Produce. CLICK HERE. 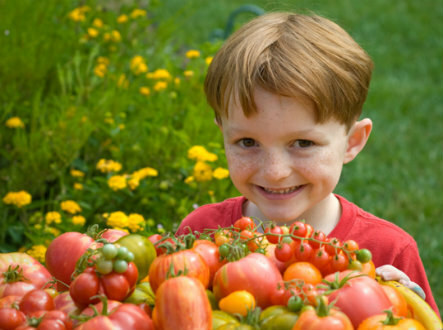 How to successfully garden with children? 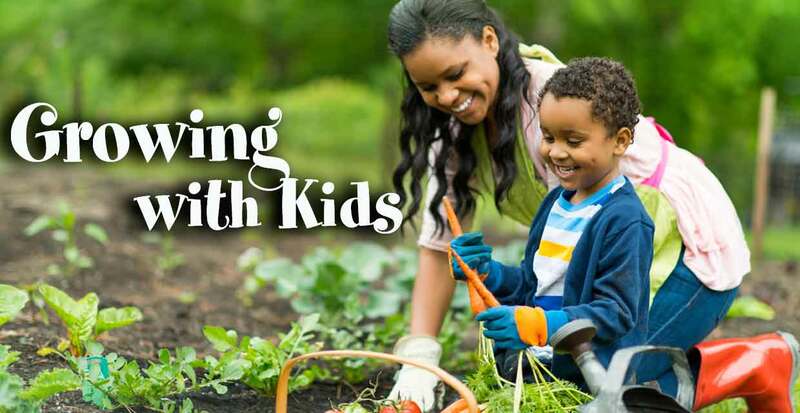 Gardening activities that interest kids? How to grow healthy fruits & vegetables? Tips to use a garden to learn about science and nutrition? Educational and fun activities & crafts to do with families at home, church, events, fairs and schools. How to create colorful materials to help make learning fun and memorable? Creative California-fresh fruit and vegetable activities and recipes to help children develop healthy eating habits? How to help parents get the information they need to help their children grow healthy and strong? How to effectively network with local organizations to develop support? How to be part of the Kids Growing Strong network to gain free use of exhibits, handouts, seeds and displays?